Ahead of the IFA trade show in Berlin, which kicks off later this week, LG is already giving us an idea of what to expect. That includes a set of new sensors that can be connected to dumb appliances, such as the ones you might already have at home, to add some smart functionality. 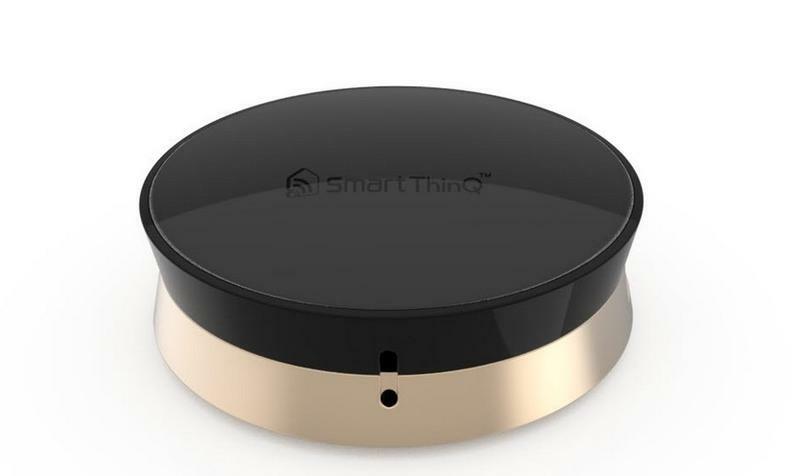 The new SmartThinQ doesn’t require any fancy electrical work to get going. Instead, LG said you just need to slap it onto one of your appliances, maybe your fridge or your laundry machines, and it will do the rest for you. The SmartThinQ sounds pretty brilliant in its functionality and can simply let you know when your wash cycle is complete or your fridge temp changes, using vibrations set off by the appliances. Using a paired smartphone app, you’ll be able to check in on those appliances and others, like air conditioners. It can even be used for other functions, like notifying you of how many times a door is opened, for example. LG announced the SmartThinQ sensor along with a new Smart Livewave Oven, which packs Wi-Fi and can download recipes, and a smart air conditioner. All of the products will be on display in Berlin, but LG did not announce pricing or specific release dates for any of the new products.